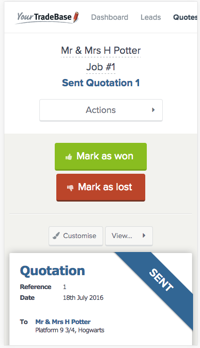 Announcing a completely new look for YourTradebase on your mobile device. 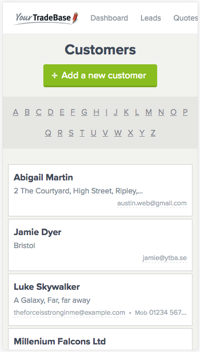 Working on the go is an important part of running your own service business, so it’s vital that it’s easy, quick and intuitive. 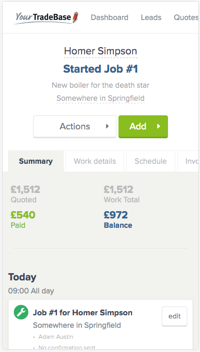 That’s why we’ve completely re-designed YourTradebase on mobile to make running your business easier and quicker. Everything! We’ve given every screen a design overhaul and more than just a fresh lick of paint: every button, action, and detail has been re-worked to make working on your mobile more enjoyable. Schedule work on the go. 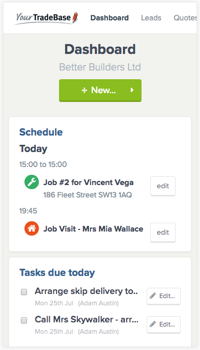 Schedule and manage work for you and your team from your mobile, and send visit confirmations to your clients… wherever you are. 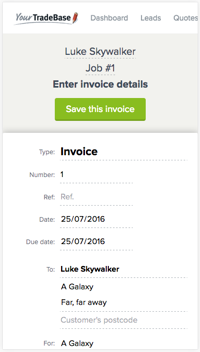 The power of YourTradebase on desktop, only in your pocket. We’ve ensured that everything you can do on YourTradebase from a computer can now be done from your mobile phone. Find what you need… quicker! 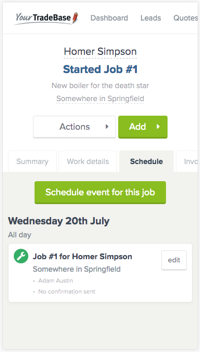 See your customer and job details at a glance. Work faster. 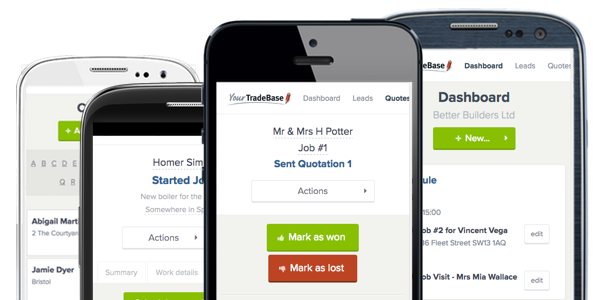 we’ve worked hard to ensure that YourTradebase on mobile is quicker and more responsive. YourTradebase on mobile is live and ready for you to use right now.